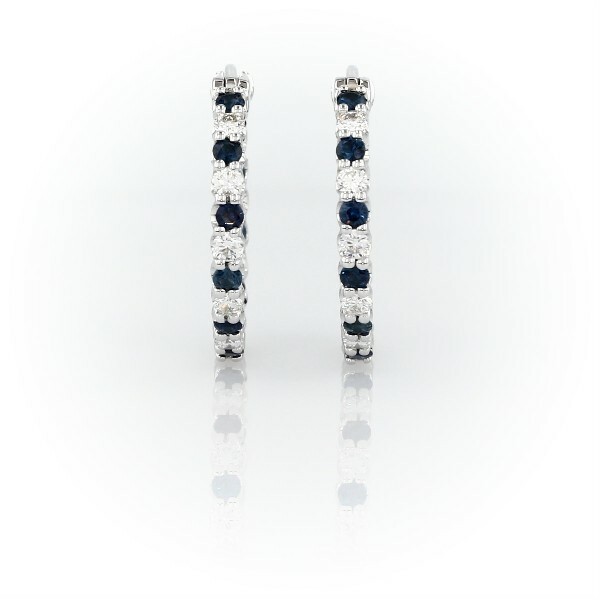 Add the striking contrast of these Luna sapphire and diamond hoop earrings to your collection. Petite deep blue round sapphire gemstones alternate with brilliant diamonds to create an everlasting circle of sparkle and color set in classic 18k white gold. These hoops are a great size for everyday wear.